The work week starts after the last legal reset. For example, if you begin at 1 a.m. on Monday, then your 168-hour work week continues until 1 a.m. the following Monday. Each duty period must begin with at least 10 hours off-duty. Drivers may work no more than 60 hours on-duty over seven consecutive days. Drivers may be on duty for up to 14 hours following 10 hours off duty, but they are limited to 11 hours of driving time. Drivers must take a mandatory 30-minute break by their eighth hour of coming on duty. The 14-hour duty period may not be extended with off-duty time for breaks, meals, fuel stops, etc. Drivers can restart the 7-day period once every 168-hour work week. This entails taking at least 34 consecutive hours off with two consecutive periods of 1 a.m. to 5 a.m.
A driver on a 1-day work schedule can be on duty for 16 hours if the driver begins and ends at the same terminal. Drive time may not exceed 11 hours. A driver cannot use both the 16-hour exception and the Adverse Driving Conditions exception together. If the driver has a layover on any day, the 16-hour exception can't be used—this includes the day of the layover. A driver that has used the 16-hour exception may not use it again until they have had a 34-hour reset. Drivers may not drive past the 16th hour when coming on-duty. If a driver cannot safely complete the run within the maximum driving time of 11 hours, that driver may drive up to an additional two hours to reach a place. However, the driver may not drive after the 14th hour since coming on duty. If weather conditions will not safely allow a driver to pull over at a hotel or rest stop and stop for 10 hours off-duty, then the driver may extend their drive time up to two hours. This exception does not mean a driver can work longer because of bad weather. 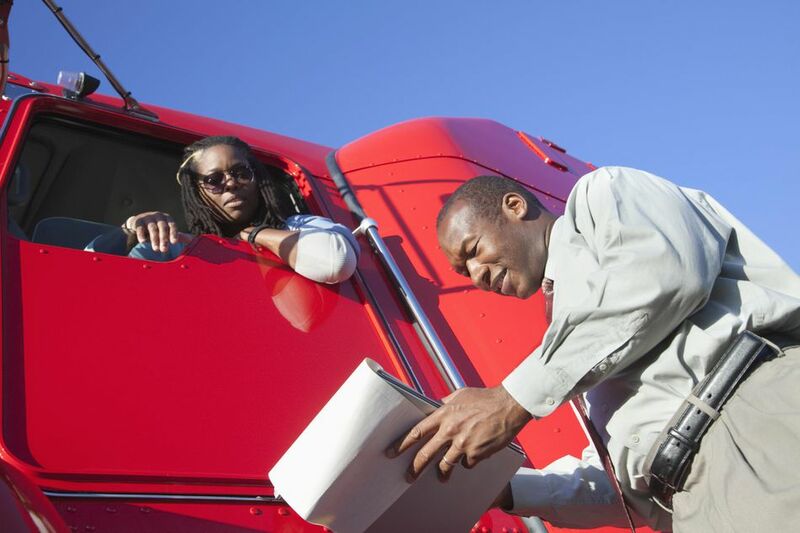 If a driver can safely stop and layover within an 11-hour drive time, they are required to do so, provided they cannot make it back to their home terminal within 14 hours (or under the 16-hour exception) if available. Any period of 34-consecutive hours off-duty will restart the 168-hour week. The restart must include two periods of 1 a.m. to 5 p.m. Drivers may only use the 34-hour restart once per 168-hour week. Drivers may be placed on shut down (at roadside) until they have accumulated enough off-duty time to be back in compliance. State and local law enforcement officials may assess fines. The Federal Motor Carrier Safety Administration may levy civil penalties on a driver or carrier, ranging from $1,000 to $11,000 per violation depending on the severity. A carrier's safety rating can be downgraded for a pattern of violations. Federal criminal penalties can be brought against carriers who knowingly and willfully allow or require violations; or against drivers who knowingly and willfully violate the regulations.